A pattern of square paving stones, tiles, or marquetry etc. Each piece is laid on the diagonal, so that all the meeting points are at a 45 degree angle. This pattern was favored by Zen temples from about the 13c onward. If roof tiles are laid using this pattern, it is called shihanbuki 四半葺. 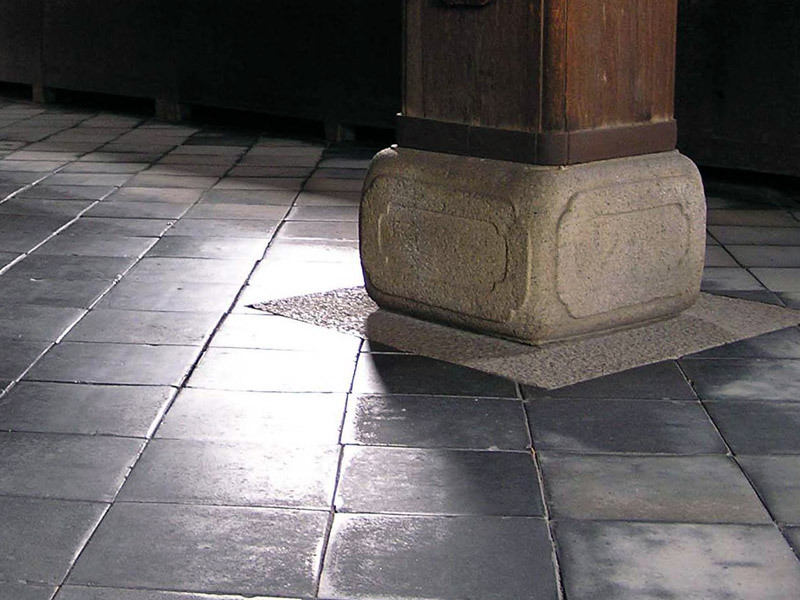 If roof tiles are laid parallel to each other, they are called *nunojiki 布敷.